Brilliant aerodynamic design. 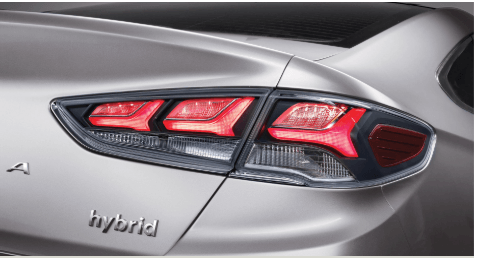 Hybrid efficiency with exceptional performance. Enjoy an array of advanced safety features and Next-generation technology. It starts with the state-of-the-art lithium-ion polymer battery. Stored neatly beneath the trunk floor, this lightweight battery-pack powers a fully parallel hybrid drive system, providing seamless performance and exceptional fuel efficiency. 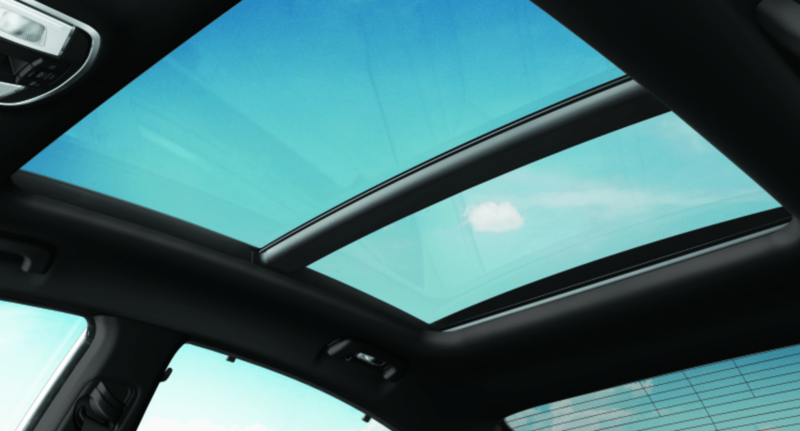 Beneath the sleek, aerodynamic body lies a vast array of advanced safety features and premium amenities. 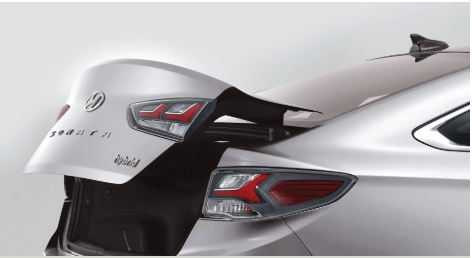 The redesigned details of the Sonata Hybrid are not only striking, but an example of brilliant aerodynamics. Key features include active air flaps in the all-new cascading grille that dynamically adjust to driving conditions, opening to allow greater airflow for the engine cooling in stop-and-go traffic and then closing for better aerodynamics at sustained cruising speeds. The re-sculpted front and rear bumpers further contribute to reduced drag and integrated wheel air curtains help direct air over and around the front wheels to minimize wind resistance - all for a smoother ride and greater fuel efficiency. 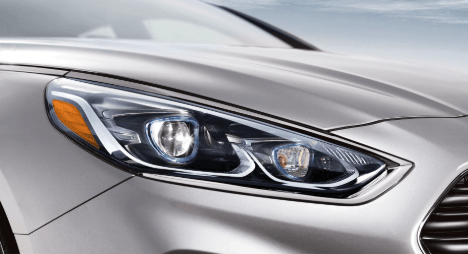 Available LED headlights and standard LED daytime Running Lights create an unmistakable front light signature. The available High Beam Assist technology detects oncoming vehicles, and changes from high to low automatically. The stylish, available LED tail lights offer a unique light signature design that sets the Sonata apart and offer increase visibility day and night. 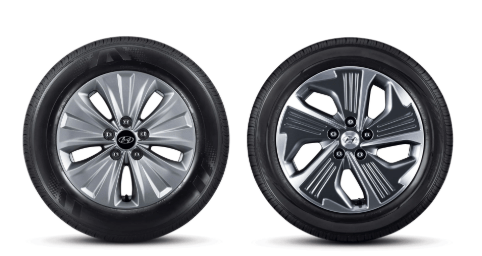 Stylish and aerodynamic, 16” eco-spoke alloy wheels and available 17” eco-spoke alloy wheels round out the distinctive, sleek presence of the Sonata Hybrid. Enjoy the convenience of the standard hands-free smart trunk technology. When the Sonata Hybrid senses the key within three feet of the trunk for more than three seconds. The ergonomic and driver-oriented cabin is intuitively laid out for comfort and convenience. Consider the revised centre console that is optimally positioned to help you keep your eyes on the road or the steering wheel mounted controls that are grouped by function for simpler interaction. The standard 7.0” touch-screen audio system lets you stream music from your smartphone, talk to family and friends with the Bluetooth hands-free phone system and tackle tight parking spaces with the rearview camera. 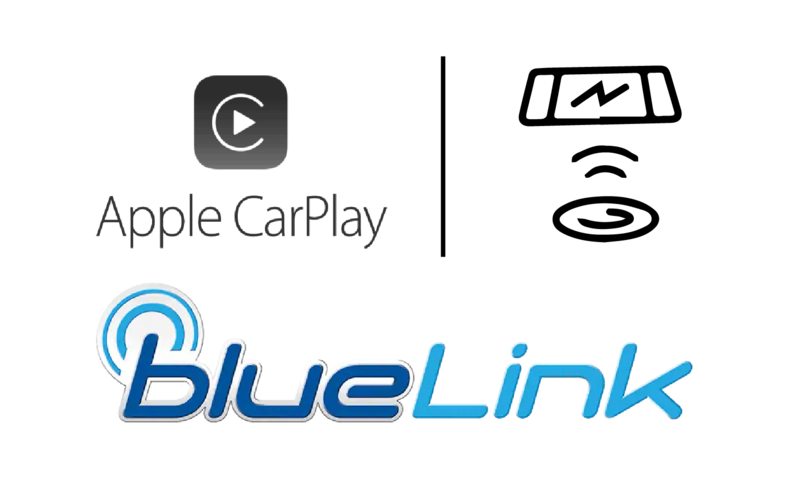 You can also access your favourite apps, including navigation or text messages, via touch-screen interface thanks to Android Auto™ and Apple CarPlay smartphone connectivity. Available Ventilated Front Seats. Keep yourself cooler during the warmer months with the available ventilated front seats that circulate cool air through the leather perforations. Available rear-window sunshade blinds provide rear seat passengers with added relief from the sun’s glare and increase cabin privacy. The available Infinity Audio System features an external amplifier and 8 speakers strategically placed inside the cabin to provide an immersive surround sound experience for everyone. The Canadian climate guarantees you’ll face frigid winter conditions, which is why you & passengers can warm up with heated seats. A heated steering wheel adds that extra touch of warmth and luxury. With the proximity key, you can lock or unlock the front doors and start the engine, all at the press of a button - Without having to take your keys from your bag or pocket. The Sonata Hybrid stores its electrical energy in a highly advanced lithium-ion polymer battery. Lithium-ion polymer, the next generation of lithium-ion technology, is ideally suited to automotive applications thanks to its robust and reliable chemistry. Lithium-ion polymer batteries are smaller, lighter, longer-lasting, and more energy-dense than the batteries found in the competition.This class-leading battery technology translates into class-leading versatility for the Sonata Hybrid. By using a full-parallel hybrid drive system, the Sonata Hybrid can run on a gasoline internal combustion engine, an electric motor, or both. This provides you with more optimized power and improved fuel economy by allowing the engine and electric motor to supply power simultaneously or independently. The Sonata Hybrid features an Atkinson 2.0L 4-cylinder engine offering class-exclusive Gasoline Direct Injection technology for smooth acceleration and efficient cruising. An available multi-link rear suspension helps to optimise ride and handling, maximizing stability during accelerated cornering, and elevating on-road dynamics and feel. At the core of the Sonata Hybrid is an ultra-rigid chassis composed of Hyundai’s Advanced High Strength Steel - What we call the SUPERSTRUCTURE™. The rigid composition of the steel is designed to be stronger, stiffer, and lighter than conventional steel to provide greater benefits in safety, ride comfort, and fuel economy. In the event of a collision, the Superstructure helps protect occupants inside the vehicle. All models are equipped with seven airbags: two advanced front airbags, two seat-mounted side-impact airbags, two side-curtain roof -mounted airbags with rollover sensors and a driver’s knee airbag for added protection. 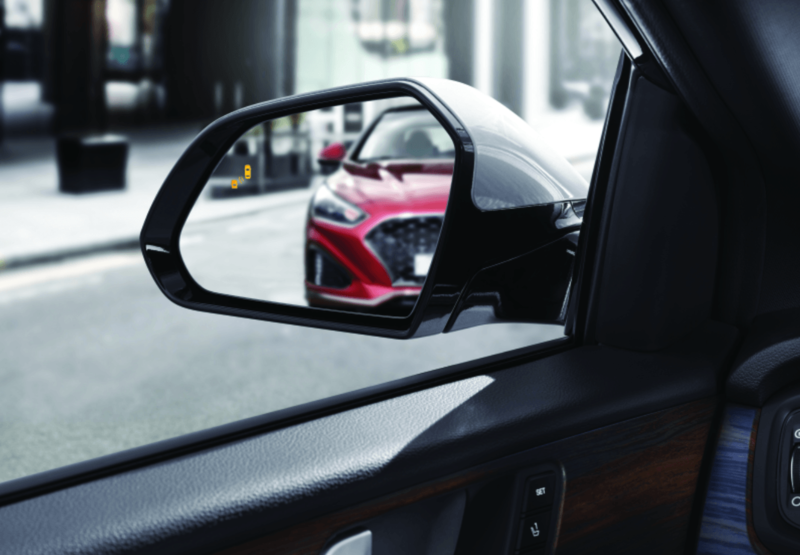 TActivated during reverse driving, the standard Rear Cross-Traffic Alert system uses radar to help identify and warn the driver of vehicles approaching from the side, even before they come into view of the standard rearview camera. Drift outside your lane without signalling and this available system will alert you with audible and visual cues. If no action is taken, Lane Keeping Assist can apply corrective steering assistance remain within your lane markings. This available feature raises safety and convenience to an entirely new level by continuously monitoring and analyzing driving patterns. When a pattern of fatigue or distraction is identified, Driver Attention alert gets the driver’s attention with an audible alert and a pop-up message suggesting a break. The Autonomous Emergency Braking system uses the front-mounted camera and the radar sensors to monitor the traffic ahead. Should it detect a potential collision with a vehicle or pedestrian, it will warn the drier and, if required, automatically slow or stop the vehicle. No matter how you choose to navigate your journey, enjoy the seamless connectivity you expect with standard Apple CarPlay™ and Android Auto™. Interact with your favourite apps, access navigation, text message and more via the 7.0” touch-screen. Located in the centre console, an available charging pad lets you easily charge a compatible smartphone without the use of messy and unsightly cables.